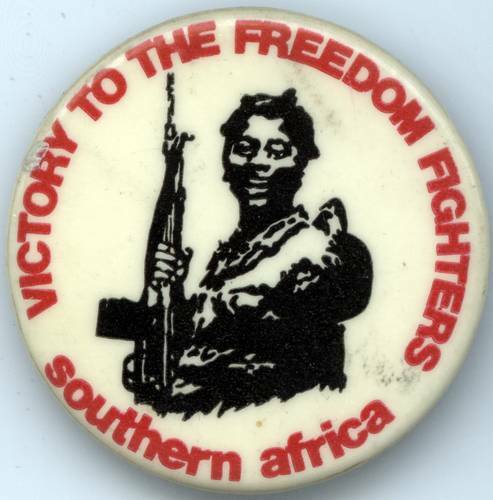 This button was produced by the Midwest Coalition for the Liberation of Southern Africa based in Chicago. A button with this text is included in an order form of the Midewest Coalition, dated February 23, 1979. Original size: 1-3/4 inches. Used by permission of former members of the Midwest Coalition for the Liberation of Southern Africa.